PRODUCT: This Chart is about A2 in size and has laminated pieces that are attached with Velcro. There is a faded image underneath. 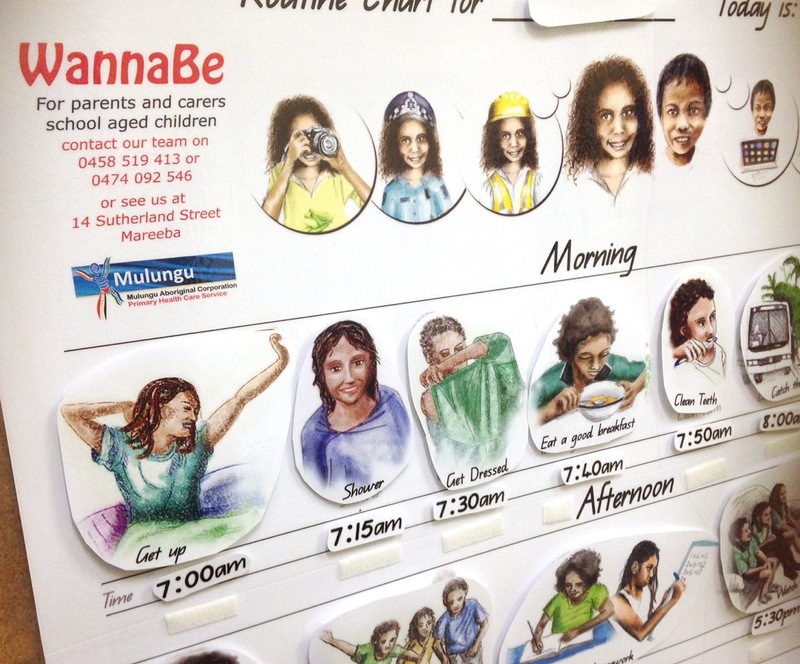 CONCEPT: The children and/or parents attach the laminated piece to the Poster as routine tasks are done. The Case Worker works with the Client to develop a routine that works with the particular family and they use the chart to help families get into a habit, and so that the kids know what is expected of them. AIM: The aim is for the kids to get to school on time, ready to learn rather than falling behind due to lack of attendance – to encourage them to believe that they can Be Whatever They WannaBe. 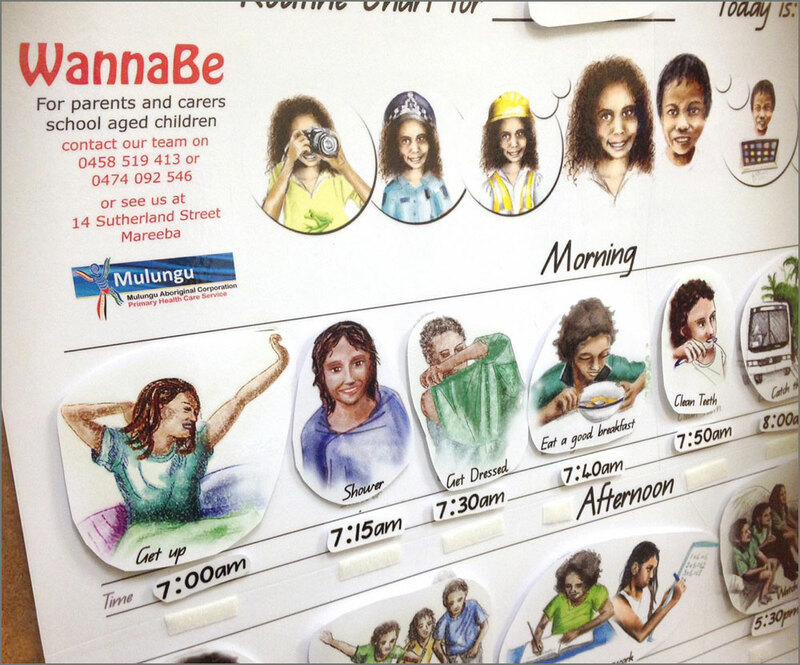 ILLUSTRATIONS: I drew the illustrations, mostly based on local indigenous children. I used photos for reference. I sketched with pencil on paper and scanned the image then used the natural medium painting app ArtRage on the iPad with layers for colouring and contouring.